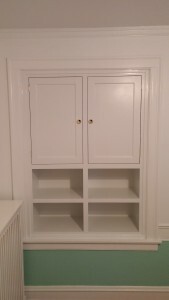 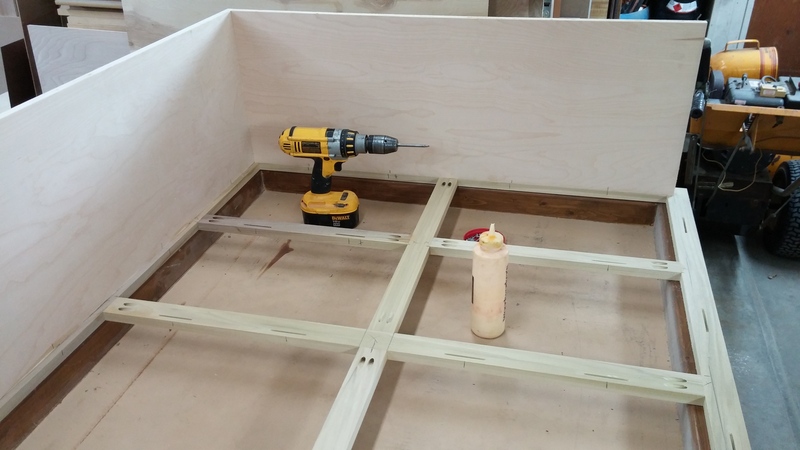 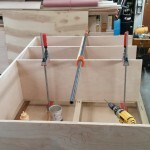 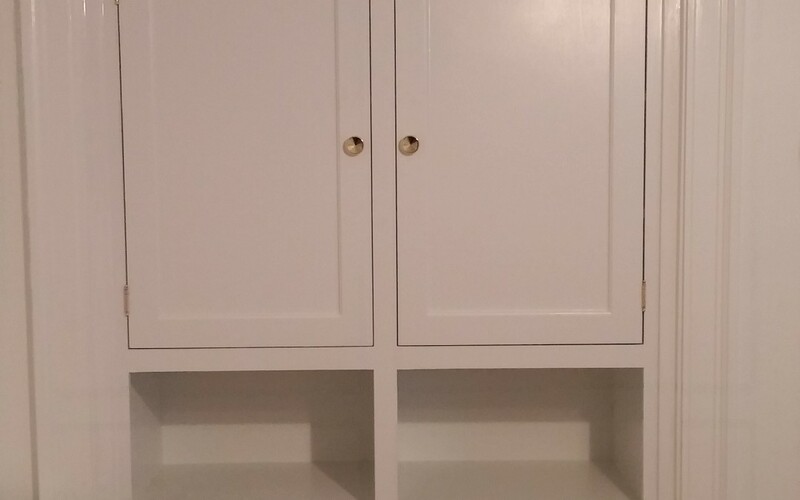 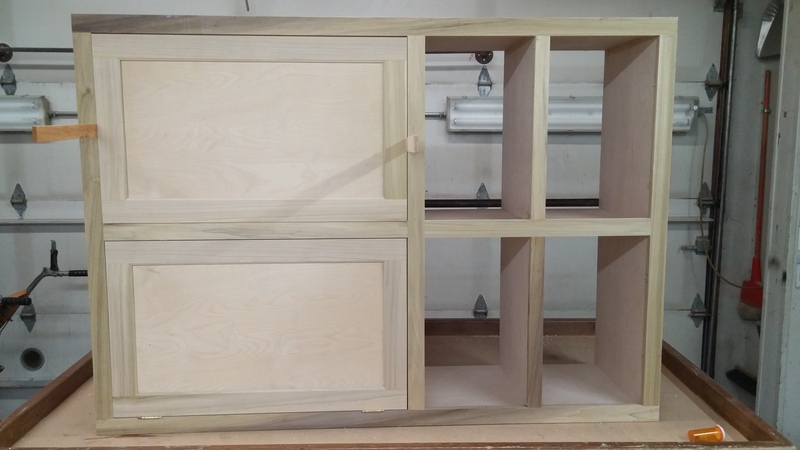 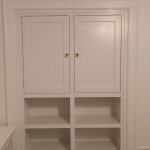 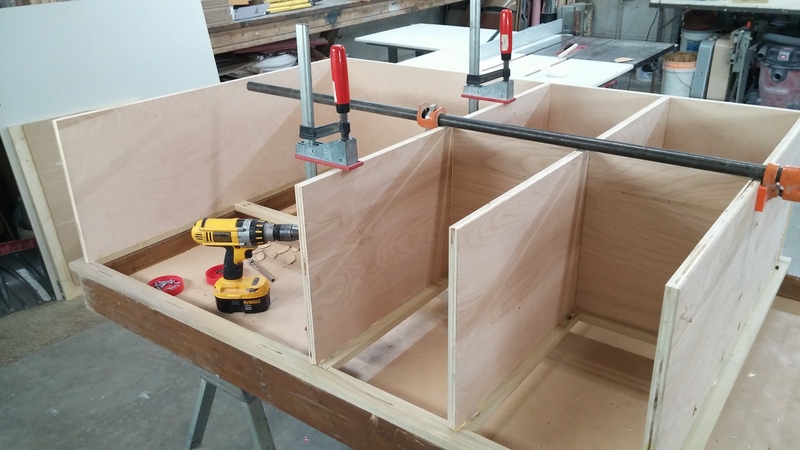 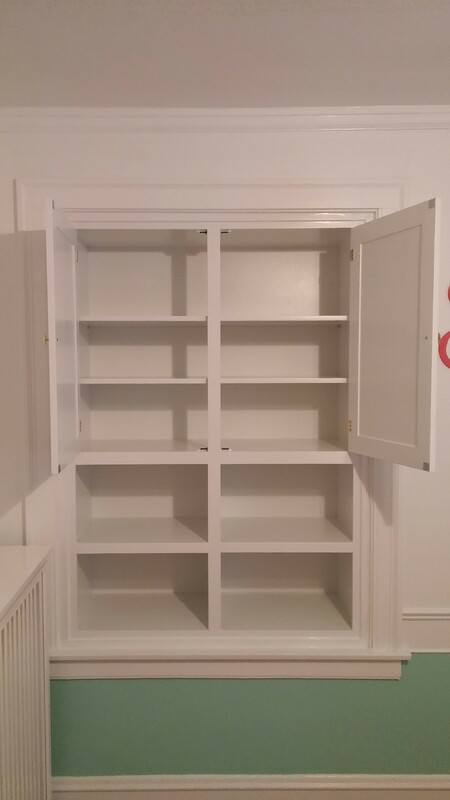 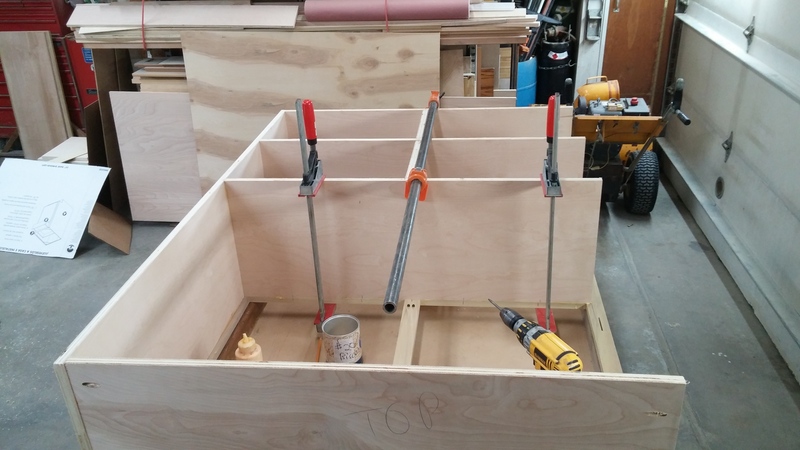 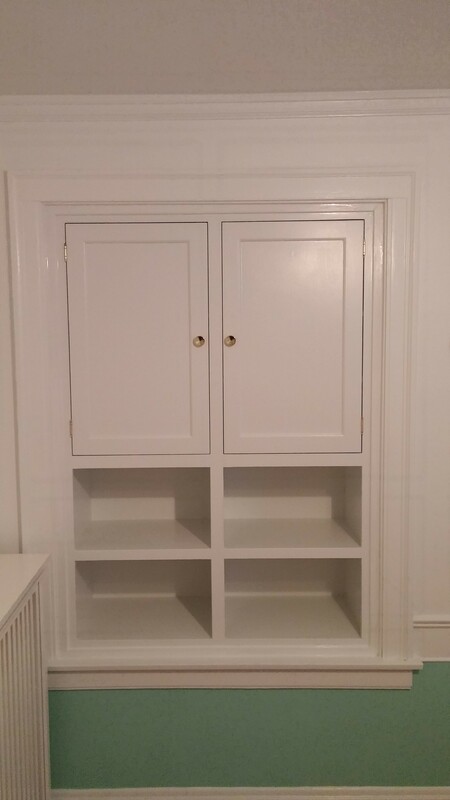 This custom cabinet was constructed from poplar and birch; it was painted white to match the rest of the woodwork. 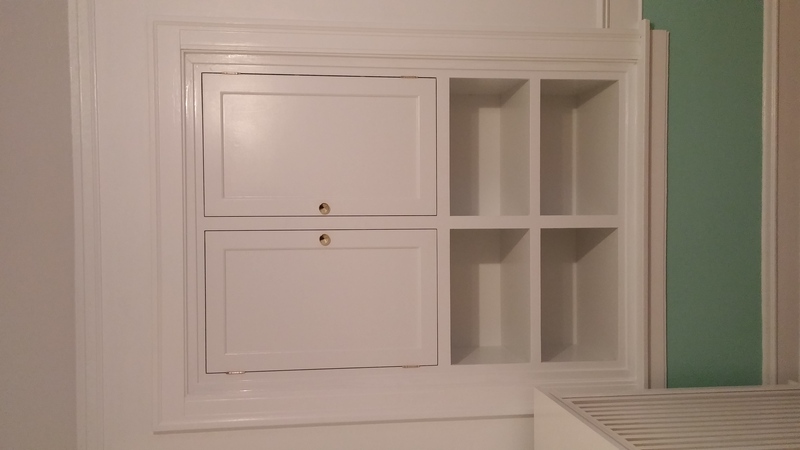 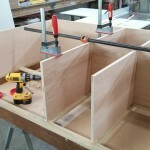 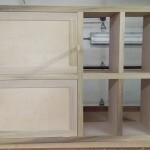 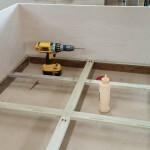 The cabinet was created to fit into a former window space in a bedroom. 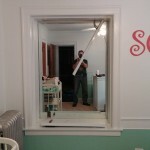 The existing window was no longer needed because an addition had been added to the rear of the house. 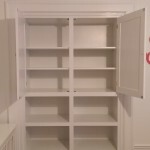 The previous owners had added glass shelving and mirrors to the former window opening. 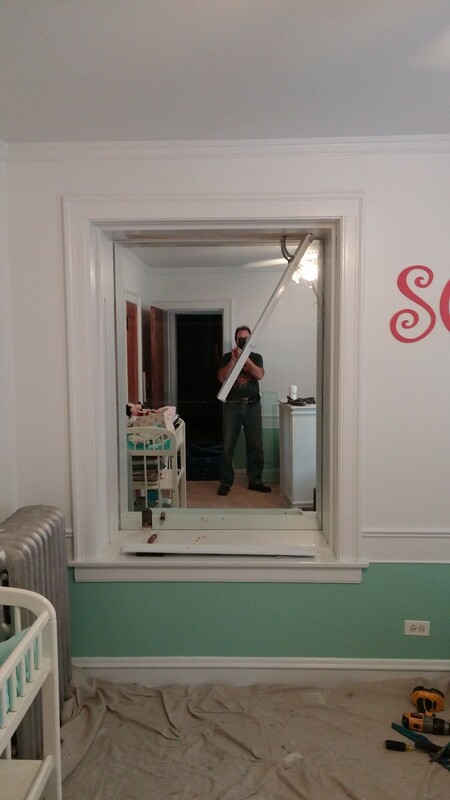 The current owners are using the room for their young daughter and wanted to remove the glass and mirrors while also creating more storage.